Have you ever been out minding your own business in a public place to then feel the stare of someone. You’ll automatically look up or turn around to see a face gazing back at you. Sometimes it can happen when you’re asleep on your morning commute (not that I speak from experience). You’ll awake with a start to realise that you’re being watched. There’s an inner instinct that makes you turn to face the person. Something happened on my trip to India with my mum which combined that sixth sense with friendship. 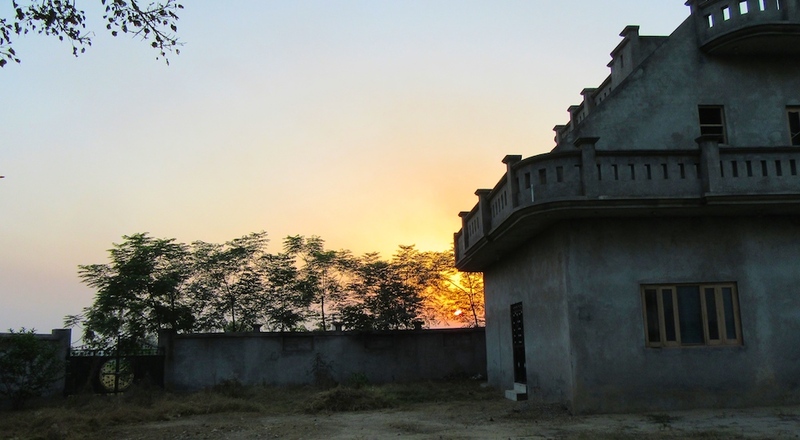 Last year, we visited the North West state of Punjab in India where my mum spent her childhood. The balmy evening was stretching out ahead of us. There was no pressing life admin or online errands that needed to be completed urgently. The hours were ours for whiling away. I decided that we should go for walk to the farm water well. It was a walk that my mum had done at least once a day to either collect milk, or deliver lunch to her Papa-g (dad) who was a farmer. I was curious to retrace the footsteps of my mum as a little girl. We set off for our walk through the old cobbled alleyways, through the busy bazaar with its shops selling sweet food, gold and colourful fabrics (the three wise men would’ve loved this place). 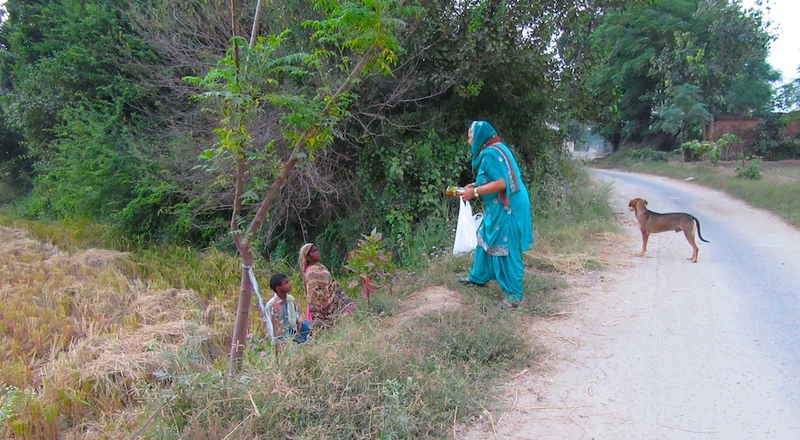 Mum stopped to buy some sweets to serve as an offering at the ancestral memorial near the water well. Once through the old village we came to the wider dusty red roads cutting through the lush green fields. The birds were singing in a frenzied chorus which was pretty soothing to my City ears. Then that’s when it happened, I got a sense of being watched. I turned around, “Who’s your friend mum?” There was a dog following us. As I asked the question, he took one quick look at me, turned and walked over to the corn field. He then proceeded to stand and stare at the corn. Never in my entire life have I see a dog behave so humanly. It was like he answered my question. He denied following us and was pretending that he was there to look at the ripening yellow corn. I initially thought he was interested in us because he could smell the sweets so we gave him some. The rest were distributed to people that we met along the way back. Once the sweets were gone I was sure that Corn Dog would wonder away. But no. 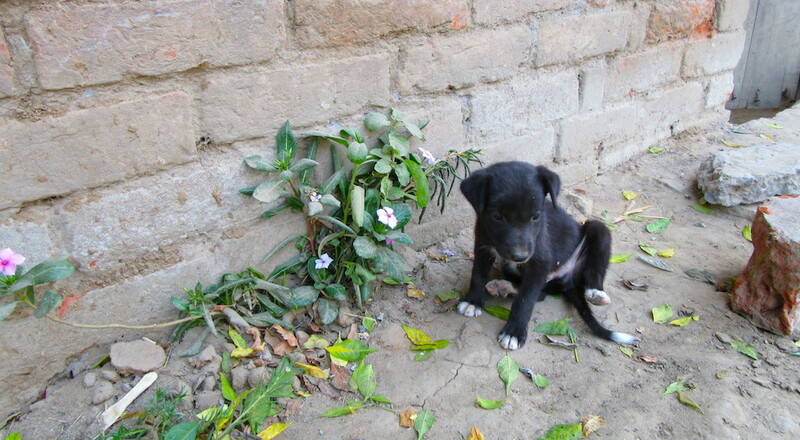 He actually stuck with us all the way back to the village – a proper guard dog. Mum was convinced that he was protecting us, which I really like (double thumbs up), a canine friend. A few days later into our trip, we went on another long walk to the gurdwara. Once again going through the village and along the paths cutting through fields. Guess who reappeared to accompany us? Yes, it was our friend Corn Dog! I was so surprised, I mean meeting him once was lovely but to see him again was pure amazing. Travelling is always fascinating because of who you meet, be it the retired couple off on an adventure before returning to university (true story) or the canine friend who keeps you company. And if you’re an actual company looking for a copywriter here’s my portfolio. Thank you for the comment Bug. And yes we found an awesome friend. He was indeed 🙂 like the canine best friend I’ve always wanted. Thank you for taking the time to comment B 🙂 We all need a Corn Dog, he had humour and a caring nature. Love this! So well written and wants me want to get a dog – a Corn Dog at that!